GAZA CITY, Gaza Strip – Gaza’s Hamas rulers said Wednesday they had agreed to a cease-fire with Israel to end the largest flare-up of violence between the two sides since a 2014 war. Prime Minister Benjamin Netanyahu said Israel gave Palestinian militant groups in Gaza “the strongest blow dealt to them in years,” and warned against renewed rocket fire. “When they try us, they pay immediately. And if they continue to try us, they will pay a lot more,” Netanyahu said at a ceremony in Tel Aviv. But neither Israel nor the Palestinian factions in Gaza went full bore in their attacks, a sign that neither side was interested in escalating hostilities. 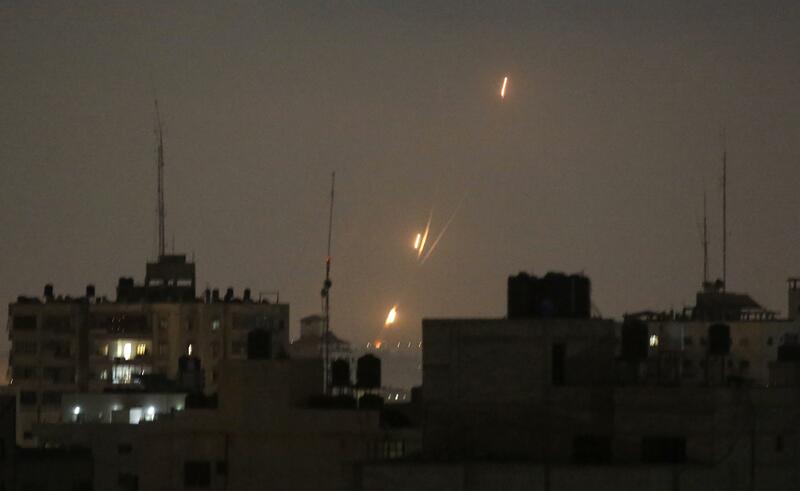 Militants in Gaza did not fire long-range rockets at Israel’s major cities, as they did in 2014, and Israeli airstrikes zeroed in on only unmanned military targets. Published: May 30, 2018, 8:21 a.m. Updated: May 30, 2018, 6:38 p.m.